Fresh local breads accompany a tasting of selected Somerset cheeses washed down by a pint of Somerset Cider or fresh apple juice drink. Please note that there are no child tickets on this lunchtime special. This special is for adults and seniors only. We regret no dogs allowed. A lunchtime Special on the 12:40 train from Bishops Lydeard to Minehead. This lunchtime Special Train is in support of local Somerset food producers. 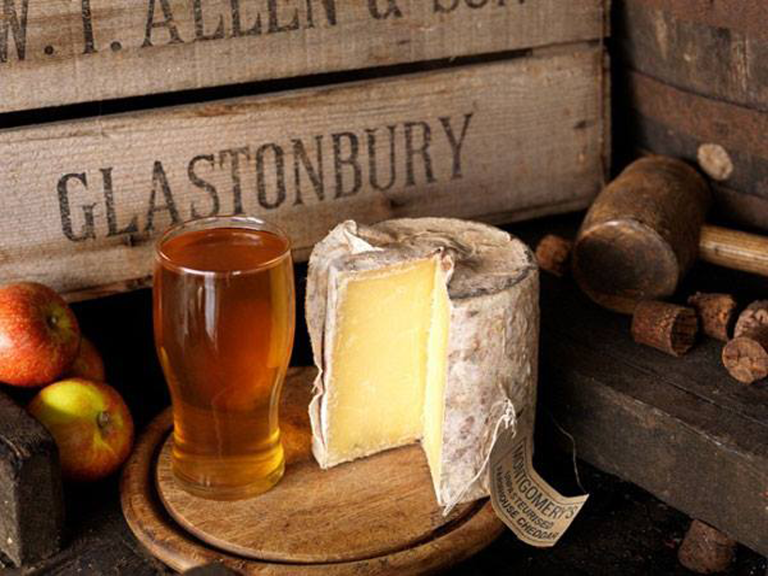 The lunch is a tasting of local Somerset cheeses, with garnish and freshly made local breads, washed down by a pint of Somerset Cider or fresh apple juice drink. Cheeses are supplied by local cheese makers such as The Exmoor Blue Cheese Company just a short distance from Bishops Lydeard Station. The Cider is made by Harry's Cider. Our tables are arranged for parties of 4, so you may be seated with other passengers. By purchasing your tickets you are agreeing to the below terms and conditions. Please ensure your read them carefully.